(8:40 a.m. AEST) -- Azamara Club Cruises has revealed that the new Azamara Pursuit will come to Australia and New Zealand. A quick look at the Sydney port schedule shows the ship arriving on December 31, 2020 for a two-night stay, then returning three weeks later for overnight calls on 20 January and 22 February 2021, suggesting a series of long itineraries in the surrounding region. NZ schedules also show Azamara Pursuit visiting ports such as Napier, Wellington, Tauranga and Gisborne. 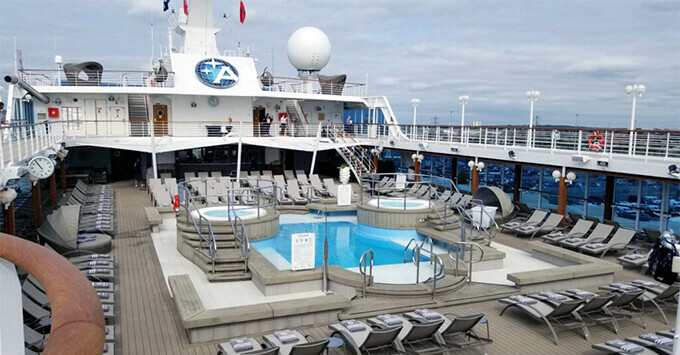 The rebranded and renamed ship, which joined Azamara Club Cruises in August 2018 after it bought P&O's Adonia, is spending its first season sailing in Europe and South America. The ship sailed its final voyage as Adonia in February 2018. Pursuit will be the third Azamara vessel in the fleet to visit Australasia, following successful seasons with Journey and Quest. At an event in Sydney last night, Azamara's chief operating officer Carol Cabezas confirmed that Australians are the line's third largest passenger base, after the U.S and the U.K. Further details about Pursuit’s local program will be available soon, she said.